The term "hierarchy" refers to an entity pyramidal action. 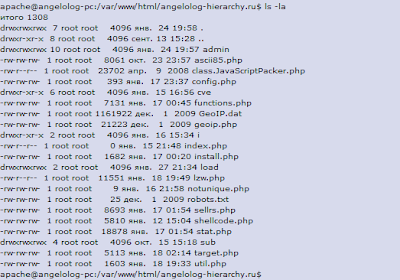 Judging by the name of this new Exploit Pack of Russian origin, it seems that the author seeks to find its place within the criminal ecosystem, but all point to the feelings behind this is, above all, a beginner who seeks criminal more. However, despite being a package of more criminal exploitation within a vast range of alternatives, it remains a real risk for any information system. Even considering that Hierarchy Exploit Pack criminal market reaches a stage where the circuit is ripe with a range of crimeware "vip" found not only among the list of "best crimeware" for criminals but also in the center of the storm-crime. Under the nickname "Angelolog" hides its author. A nickname striking since according to their semantics, refers to "a branch of theology that deals with the study of angels". A rather obvious contradiction. 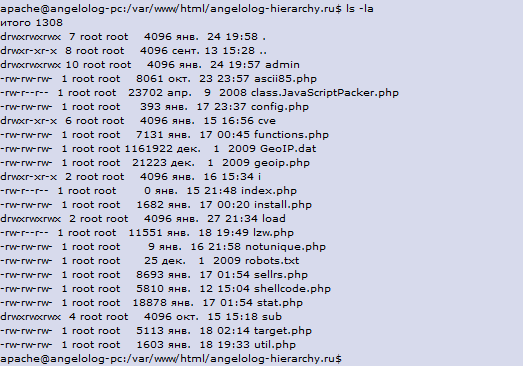 The AS6876 (TENET-AS TeNeT Autonomous System TeNeT Telecommunication Company) found in Ukraine, isn't classified as malicious which suggests that "angelolog", a spammer menial, does not take long in the area of ​​crime. While at first glance the design of the control panel is similar to the old Siberia Exploit Pack, it's actually a modification of Eleonore Exploit Pack. The evidence is very clear. Regarding the exploits offer presented by this crimeware, it seems it is a "salad of exploits" which leads to assume, considering also that is a mod that the author could be a "collector Exploit Pack", performing their own development (without effort) through a "grout" of exploits of old Exploits Packs which is easily available in most underground forums. On the other hand, the level of detection in almost all cases is on average less than 50%, which represents a critical aspect of any information system. Thus, no matter it's a crimeware without much representation in the criminal environment without a lot of creativity and without effective exploitation rate for the offender, it remains a latent threat. Especially when experience shows that old exploits as MDAC described in CVE-2006-0003, have a strong impact even after nearly six years to fix the bug that was exploited.